The aim of #mysuccess is to offer all members a consistent level of service. This is how we will monitor your progression. This journey consists of a step by step continuous process enabling us to help you achieve your goals. 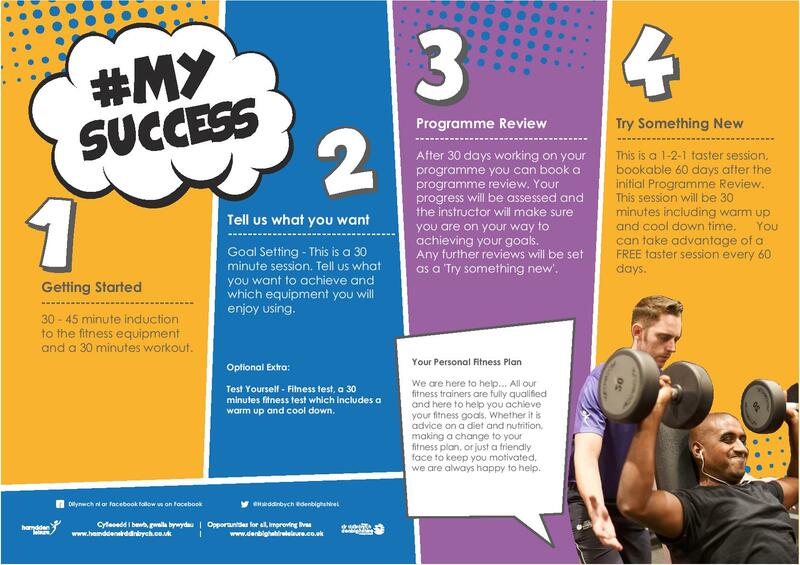 My Success allows us to interact with members on a regular basis, continuously review your programme and gives us the opportunity to introduce you to something new. Further details about our Fitness Memberships can be found on the membership types link. Membership at one leisure facility includes the use of all 8 facilities. Leisure Card discounts are available to all Fitness Membership customers.